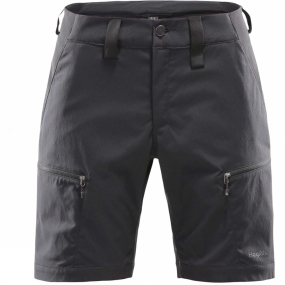 The Womens Mid Fjell Shorts from Haglof are shorts that are made from tough Climatic stretch fabric, for protection and outstanding durability-taking you into more challenging terrain. The DWR treatment is environmentally friendly. Plenty of pocket space gives room for your essentials. FlexAble panels in key areas give you complete freedom to exert yourself.